For your wedding or religious event, we put our facilities at your disposal. Our team will be attentive to the decoration, the buffet, the music, the drinks and all the details so that you can take the best memory of your life. Places with landscapes full of magic and good energy. A wedding tailored to the couple, with the service and details they want. Special accommodation packages to enjoy more of the party. Orientation at all times to ensure the excellent development of the wedding. Environments for each nuptial concept: from intimate weddings to large weddings. 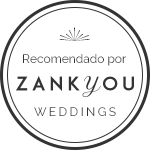 In Aranwa Cusco Boutique we have a beautiful traditional colonial patio, where you can celebrate your love, through a nice civil wedding in the afternoon or the mystic Inca union officiated by our Chaman. On your wedding day, both of you will receive energies coming from the Colca Valley to start the most important cycle of your lives. The chapel, designed to join religiosity, tradition and romanticism, is the ideal place to say yes. After the ceremony, celebrate your wedding party in our wedding venues decorated in a personalized way by our wedding experts. An area of 200 m2 with capacity for 150 persons (cocktail) and 100 persons (auditorium) will be at your disposal. We will take care of every detail: from floral arrangements to welcome the bride and groom, catering, tables, chairs, live music, all guest accommodation, and everything that is necessary to make your wedding unforgettable. For your wedding or religious events, the hotel offers the “Jesús Pescador” chapel with capacity for 150 people. After the ceremony, our event venue located at the convention center, is the ideal place for the reception and the party. Our team will be in charge of all details as decoration, buffet, music, drinks and everything you need to make this day the best memory of your life. Spend the most important day of your life in front of the paradisiacal beaches of Vichayito, a romantic and magical place that you can enjoy starting from horse rides until the day of your wedding within the event tent, especially decorated. The wedding venue with capacity for 110 people, will be prepared according to your instructions with dressed tables and chairs, and the finest tableware. Our wedding experts will take care of every detail: floral arrangements to welcome the bride and groom, catering, all guest accommodation in bungalows or Bedouin tents, and everything that is necessary to make your wedding unforgettable. We got married in Aranwa Vichayito. It was a nice experience with an excellent service and assistance. We would highly recommend them. It was the best of our lives and our guests were delighted. It was a pleasant experience. Since the first moment, Aranwa staff were very attentive with our requirements and made us things easier. We are very happy with the extraordinary service during the reception of our engagement party (proposal). We would definitively recommend them. Exceptional staff with great and kind attention. They were always aware of small details, providing personalized attention to all our guests. Likewise, the place has amazing facilities that were splendidly decorated the way we wanted. We will come back for more activities without a doubt. We organized our wedding from Australia. Since we saw the chapel pictures of the Aranwa hotel located in the Urubamba valley, we fell in love with it. We immediately chose the date of our wedding according to its availability. We have no regrets about our choice. The organization was coordinated from afar, who made things easier. Facilities are beautiful, staff attendance is excellent and our guests were delighted. We received a warm welcome upon arrival. All our guests were registered promptly and they were very happy with the accommodation. Food was always fresh and tasty, facilities are great and the hotel was clean and tidy. Staff always with a smile on their face. We definitely recommend the hotel for vacation or a special occasion like ours. We are still impressed with the place. Anyway, we will come back for sure. I always wanted a sunset beach wedding. Honestly, I didn´t find this near Lima, except in Aranwa. The most difficult thing for a couple is the wedding organization and everything that this involves. However, we are more than satisfied with the disposition and results that we received. We wanted a place to have an unforgettable time with our family and friends.